Repurposed clearance bin canvas with die cuts, washi tape and some jewels from the December Club SEI Scrapbooking Kit...as seen on the SEI blog where I was the Pop-In guest blogger yesterday. 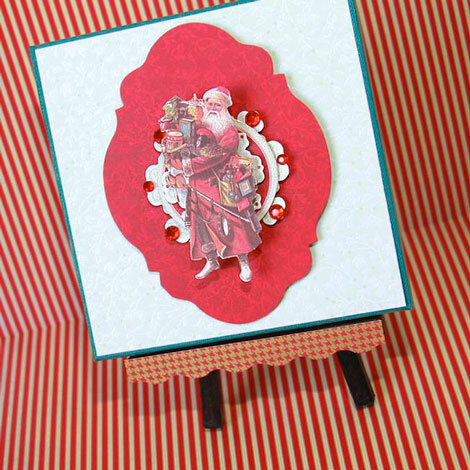 Love that vintage Santa die cut! you and your craft are so adorable. and what a sweet santa. he looks more like a Father Christmas.